JNN 26 June 2014 Baghdad : The move by Sunni scholars and figures to support Ayatollah Ali al-Sistani’s Fatwa (religious decree) against terrorists opened a new page in the history of Iraq, an Iraqi media activist said. As it Has paved the way towards the ages Old Brotherly ties Between Sunni and Shias Leaving Peacefully , and has Put them United against their worst Wahabi Takfiri enemy , who wants to divide Muslims and weaken up their strength around the World. Speaking to IQNA, Ala al-Khatib added that the senior cleric’s Fatwa on fighting terrorist militants led to more unity and solidarity in the Iraqi society. Ayatollah Sistani in a Fatwa last week called on Iraqi people to fight the Takfiri terrorists in the country. He urged people to take up arms and defend their country against the terrorist militants from the so-called Islamic State of Iraq and the Levant (ISIL). It came after the ISIL militants on June 10 took control of Mosul, which was followed by the fall of Tikrit, located 140 kilometers (87 miles) northwest of the capital, Baghdad. Hundreds of thousands of people have been forced out of their homes since that time. The ISIL militants have vowed to continue their raid toward the capital, Baghdad. 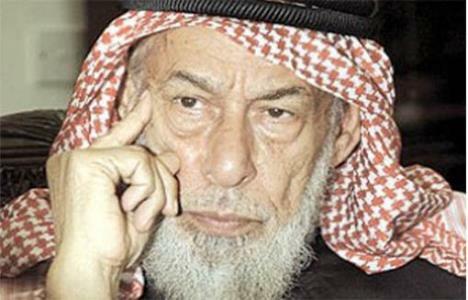 Ala al-Khatib said both Shias and Sunnis welcomed the Fatwa by Ayatollah Sistani, adding that Sheikh Rafi Al-Rafei, Iraq’s Sunni Mufti and Sheikh Ahmed Al-Kabisi, another senior Sunni figure have also issued Fatwa supporting Ayatollah Sistani’s stance. Elsewhere in his remarks, al-Khatib noted that the ISIL Takfiri group is widely supported financially and militarily by certain regional countries that seek to destroy sacred places in Iraq through this terrorist group. He underlined that the ISIL was incapable of entering Iraq all by itself without the backing of other countries and support from certain Ba’thist elements in Iraq. The Iraqi media activist noted that the ISIL was seeking a way out of its troubles following its defeats in Syria. He went on to say that the Zionist regime is the main sponsor of the ISIL. He referred to the crimes committed by the terrorist group and said the Takfiri group has trampled upon all Islamic and human values. Al-Kahtib further hailed the Islamic Republic of Iran’s support for the Iraqi nation and government and said Iran has always stressed unity among Iraqis in confrontation with seditions and conspiracies. He called on Muslims all over the globe to uphold unity and stand up against the ISIL terrorists and promote the true Islam in the world. This entry was posted in Iraq News and tagged Ayatollah Ali al-Sistani, Ayatollah Sistani, Ayatullah Sistani, Fatwā, Harmony, Iraqi media activist, Iraqi Sunni Scholars, shia, Sunni, sunni scholars. Bookmark the permalink.